Last night, just as we were signing off for the day, Samsung sent us an invite to their Mobile World Congress (MWC) 2017 press event. 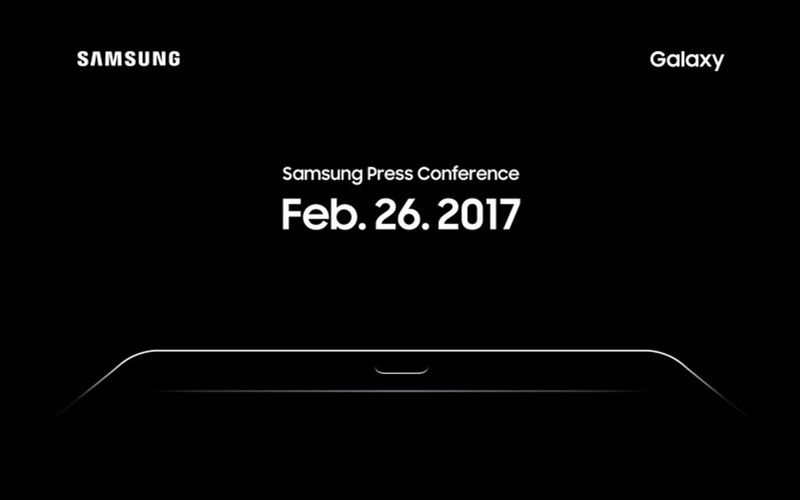 The event is scheduled to kick off in Barcelona on February 26 and will likely feature a new Galaxy tablet. Wait, not the Galaxy S8? Nope. Samsung already confirmed to press that the Galaxy S8 line will not show up at MWC and will instead show up later, as they attempt to “regain consumer trust.” OK, so what about this tablet then? According to reports, we should see the Galaxy Tab S3 at MWC. The Tab S line from Samsung has been their higher-end line for the past couple of years and current leaks show a tablet that won’t disappoint. As of now, we are expecting two models, one with LTE (SM-T820) and one that is WiFi-only (SM-T825). Other specs include a 9.6-inch display (2048×1536), Snapdragon 820 processor, 12MP rear camera, 5MP front camera, and 4GB RAM. The event will be live streamed on February 26 at 19:00 CET. I think that’s 10AM Pacific, 1PM Eastern. UPDATE: Ooh, ooh, potentially big news. According to Korea Herald, Samsung will tease the Galaxy S8 at this event with a 1-minute clip.